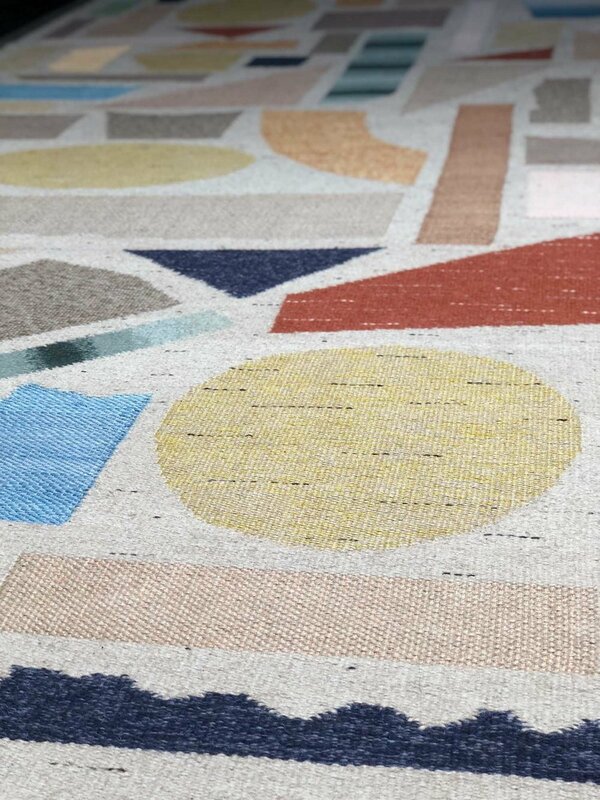 Inspired by Terrazzo floors, we designed this flatweave rug to highlight texture, form, and color through the integration of weaving technique and fiber. We commissioned this rug with Mitchell Denburg Collection, whose team includes highly skilled individuals, artisans, and producers of fine materials and ancient processes; and whose goal is to preserve customs and ways of life that are threatened by globalization and mass production. Mitchell and his team used raffia, wool, jute, and linen to create this masterpiece–sustainable and natural materials that do the least harm to our planet.